These extra soft and extra thirsty hybrid fitted diapers fit from birth to about 16 lbs (7.25 kg). 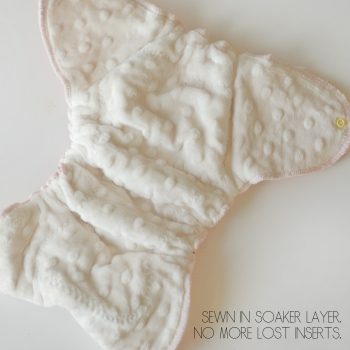 Minky is the recommended inner fabric and that makes for the most luxurious diaper your baby will ever wear. Wear coverless during the day at home or with a cover at night or during naps. The snap down front lowers the rise to accommodate umbilical cords during those first few days. 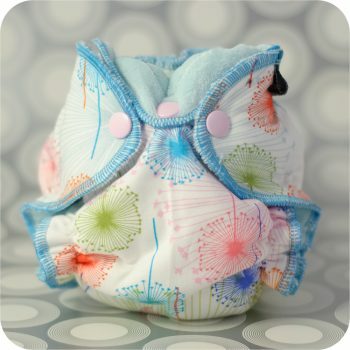 These extra soft and extra thirsty hybrid fitted diapers made from our newborn cloth diaper sewing pattern fit from birth to about 16 lbs (7.25 kg). 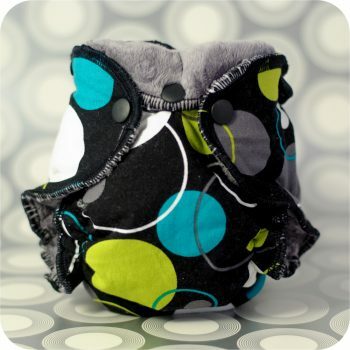 Minky is the recommended inner fabric and that makes for the most luxurious diaper your baby will ever wear. Wear coverless during the day at home or with a cover at night or during naps. The snap down front lowers the rise to accommodate umbilical cords during those first few days. This newborn cloth diaper sewing pattern will become quite handy in those early days. 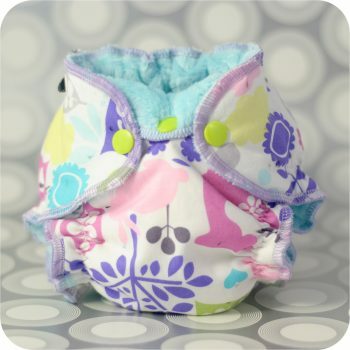 Like the rest of The Eli Monster’s patterns; The Newborn Hybrid Cloth Diaper Sewing Pattern is layered which means you only need to print the size you are making! All steps are accompanied by full-color photographs so you never have to guess where to sew or place. All pattern pieces are computer drawn; to save paper, cutting dimensions for rectangular pieces is included in lieu of drawn-out pieces.